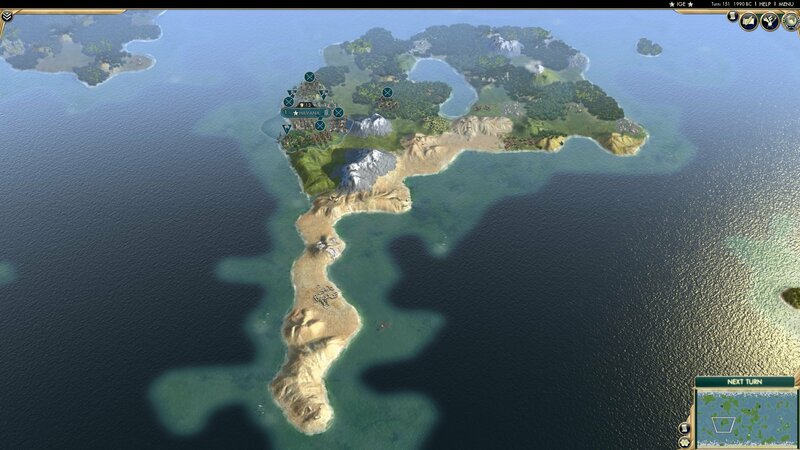 Starting in the top left corner of the map we have Hawaii from MC's Polynesia Split. They don't have the best spawn considering its pretty much all Tundra, but they have plenty of room to expand and colonize if they so choose. 2. 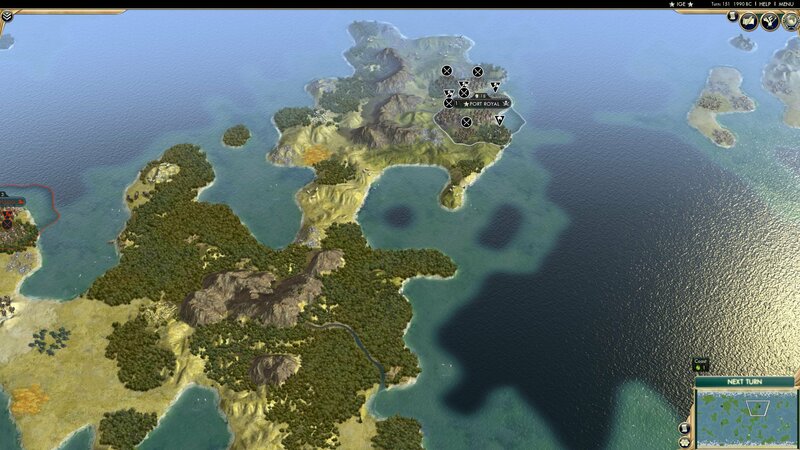 In the bottom left corner we have the Isle of Mann led by Orry. 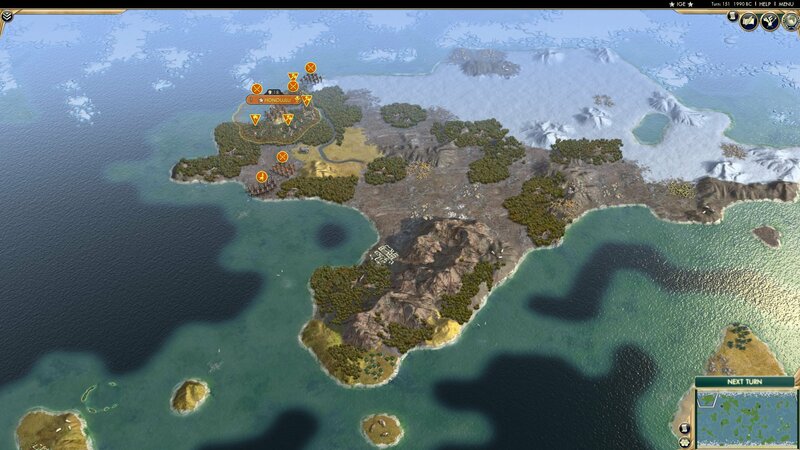 They performed well in my test game and have a not entirely terrible spawn, though they are very isolated. 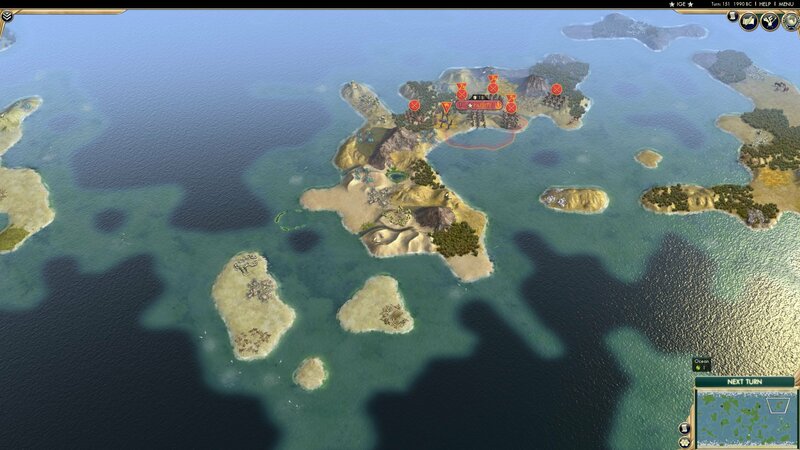 We'll see where they end up going considering how cut off from the other 14 they are with this spawn. 3. An island over from Kamehameha are the Champa! They seem to have an incredibly fortunate spawn with a lot of room to expand and no nearby rivals, along with great terrain. 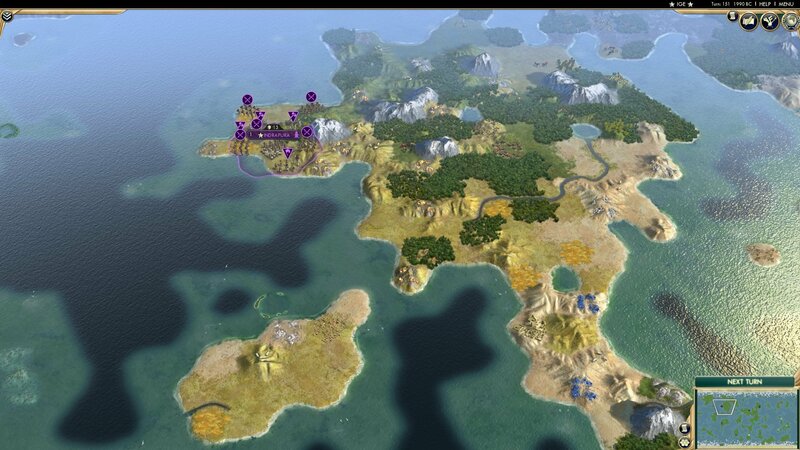 They didn't perform too well in the Civ Battle Royale, but I have my hopes up for a more impressive showing this time around. 4. South again and we find Fidel Castro's Cuba. Bit of an interesting figure historically, but I wanted some representation from the Carribean and I enjoyed his aggression in the test game. He has his island all to his lonesome, though a large chunk of it is desert. Still, he should have a very powerful core to expand with later. 5. Minoa under Minos is our next appearance. I know very little about these guys except that they came very heavily recommended from the Discord, so here they are! They are sharing this section of the central continent with our next contender, and in general I anticipate this area of the world being highly contested between the local denizens. 7. Because just to the south with a lot of land to themselves (for now) are the Maori! 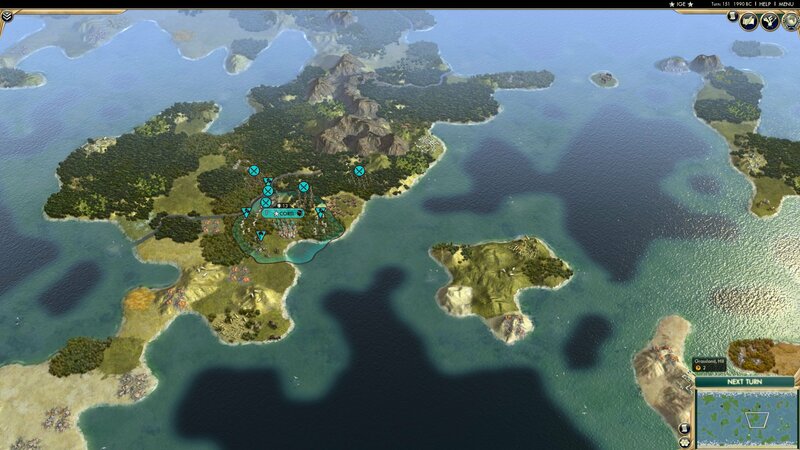 I have loved them every since they nuked Sydney in the Civ Battle Royale, and in my test game they were the first to annihilate another civ entirely. I expect great things from the Maori and they are my personal bet to come out of this game as the winner. 9. Corsica. 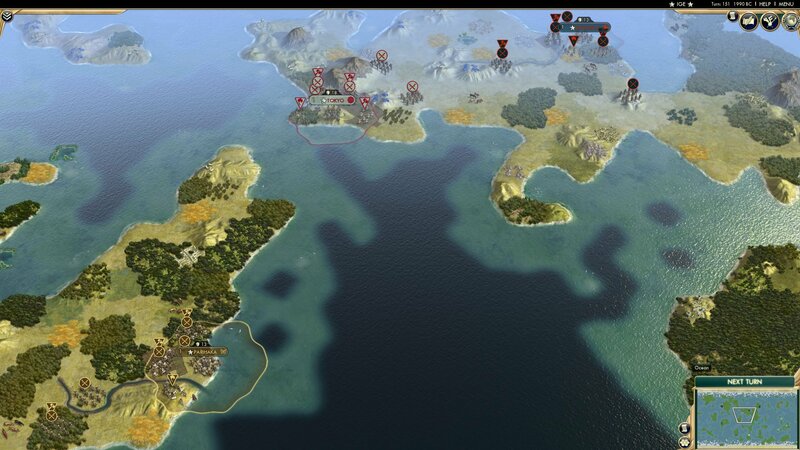 Another Civ I have very little exposure to except recommendations from the Discord. I know they have performed well in navel battles before, so let us hope they live up to their reputation, eh? 10. Another contender needing little introduction, Ingolfur Arnarson explodes onto the scene at the head of his Icelandic crusade. I am a huge fan of the aggression Iceland shows, and they have demonstrated their competence before, so I am hoping for a formidable southern power to emerge this game. 11. 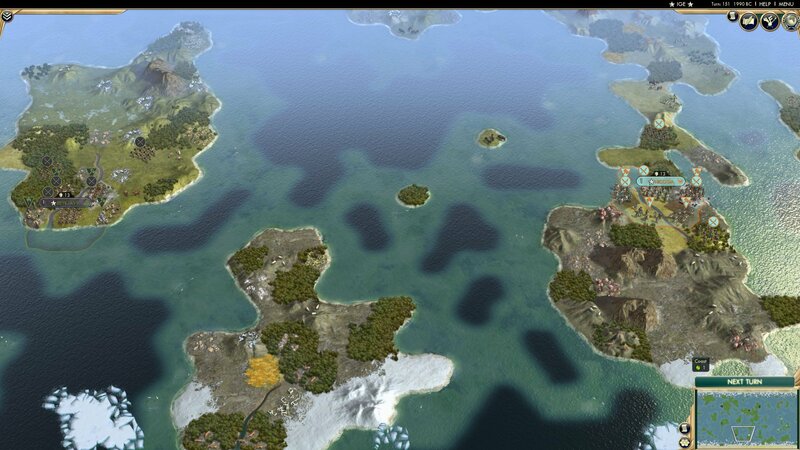 The final spawn on the central continent has a lot of options for Canals but will quickly find themselves hemmed in on all sides if they do not start island hopping quickly. Peter I will be attempting to lead Cyprus to glory, though I personally wonder how much he'll accomplish before being killed by his neighbours. 12. 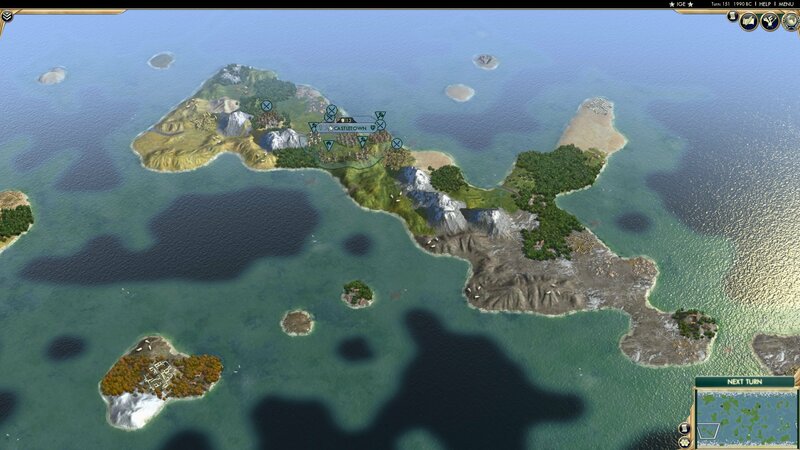 Our second Polynesian contender, Tahiti have the top right corner of the map all to themselves, and a promising amount of space for expansion... at least until the Buccs come. I expect them to finish low in the rankings, but they could surprise me and thrive given their freedom from rivals up here. 13. After hearing that they can match the Maori and Iceland in brutality I had to include the Faroe Isles, and here they are on their own long snake of land. There is not actually all that much room for them to expand without coming into conflict with their neighbours, so I am going to watch this corner of the world with a lot of interest. 14. Speaking of neighbours, Two Sicilies is our penultimate entry. Again I am impressed with what I have heard of their AI from the Discord so I brought them in to replace Brunei who were originally this spot in my test. I have a feeling only one of the three pictured in this shot will ever become a true power, but Two Sicilies has the most room to expand before causing a war. My money is on them to come out on top. 15. 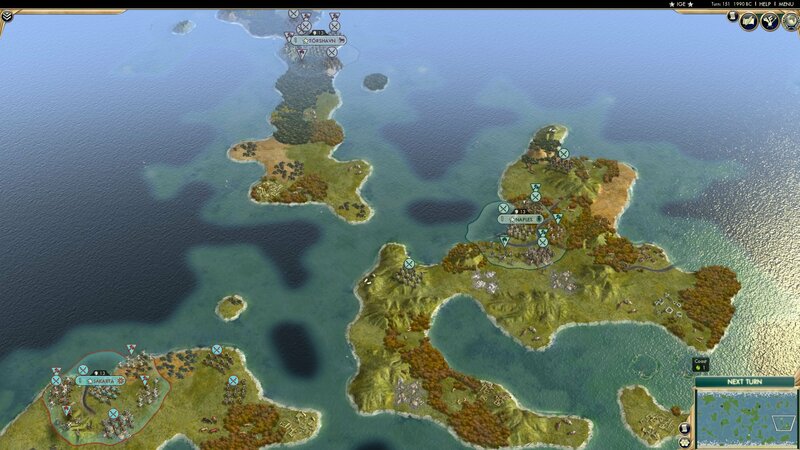 Last and... probably least, truth be told, Firaxis' only entry to this game is Indonesia. Oh Gajah, what can I say? After a medicore showing against Castro in the test game you now spawn in a corner with two aggressive AI right next to you. My best is on Indonesia to be the first elimination, a fate that I do not wish on them but ah well. Such is life.